Not even a difficult economy can deter Americans from showing their appreciation for their Moms on Mother’s Day! Deservedly so! According to NRF’s 2010 Mother’s Day Consumer Intentions and Actions Survey, conducted by BIGresearch, the average person will spend $126.90 on Mother’s Day gifts, compared to $123.89 last year. Total spending estimated to reach $14.6 billion. Mother’s Day is one of the biggest holidays of the year with billions to be spent at restaurants and stores. Although most Moms will say “it’s the thought” that counts, “sparkly” gifts are always sure to please. Gift givers seem to agree on this point as they’re expected to spend $2.5 billion on jewelry for Mom. Easel-back Stands & Display Pads – allow you to showcase several (necklaces, earrings, bracelets, or body jewelry) pieces of jewelry at once. Earring Cards – use these plastic display cards to attach pairs of earrings and display the cards on a hook or on a countertop earring displayer. Earring Trees – use to display a single pair or multiple earrings. Jewelry racks, hooks and hangers – work well if you stock quantities of low-priced necklaces. Use with fold over necklace/bracelet cards for easier hanging and pricing. Neck Forms or Busts – often padded or made from polystyrene, gives buyers a good idea of how a necklace will look on a person. 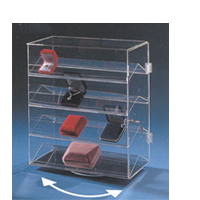 Revolving Displays – fit on countertops, these square, rectangular, triangle and even hexagonal displayers hold earring cards and revolve or rotate. Ring Display – allow you to feature a single ring or up to five rings separately in a row. 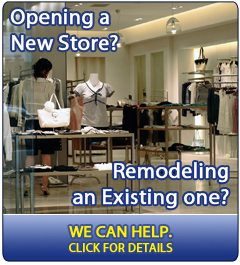 Risers – come in different colors and materials including acrylic and wood. 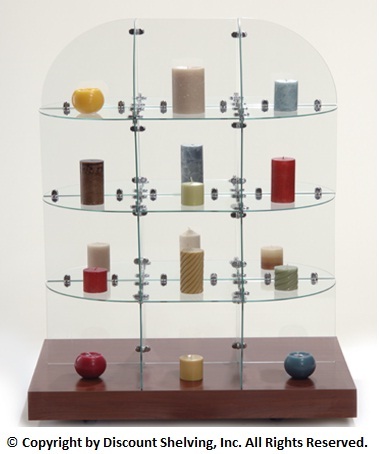 Risers allow you to display jewelry items at varying heights for a striking display. 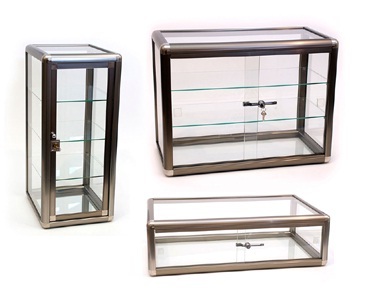 T-bars Style Jewelry Displays– ideal for showcasing bracelets and necklaces. 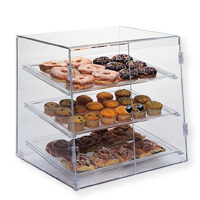 These displays can sit on counter tops or inside display case. 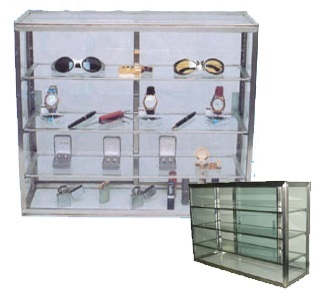 Trays and cases – elegant looking jewelry trays and cases are often used to display rings. There are a variety of inserts for these displays including flat pad and slotted ring. Watch Display – designed specifically to hold a watch upright, these displays fit attractively in a case or a countertop showcase. It’s not too late to order jewelry displays for Mother’s Day and beyond. May and June are great months for jewelry purchases with special occasions such as First Communions, Confirmations, Proms and Graduations, all in full-swing.